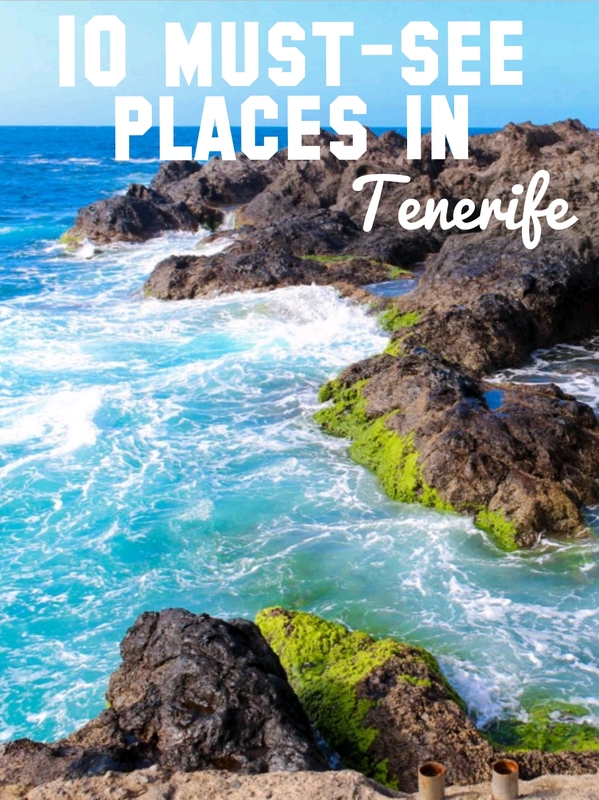 Top 10 places you must visit while in Tenerife. Tenerife is the largest of 7 Canary Islands. 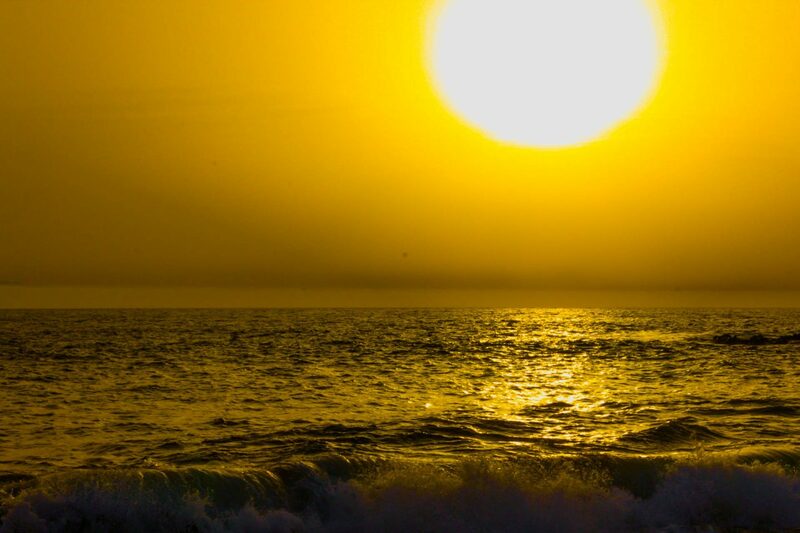 It has so much to offer to any sun-seeker and nature-lovers. Just give it a try. Even, if we travelled lots of islands, this one, remains on our bucket list to come back and discover more. It was our first stop, once there. We were amazed by these cliffs towers between 500-800 meters above the sea. 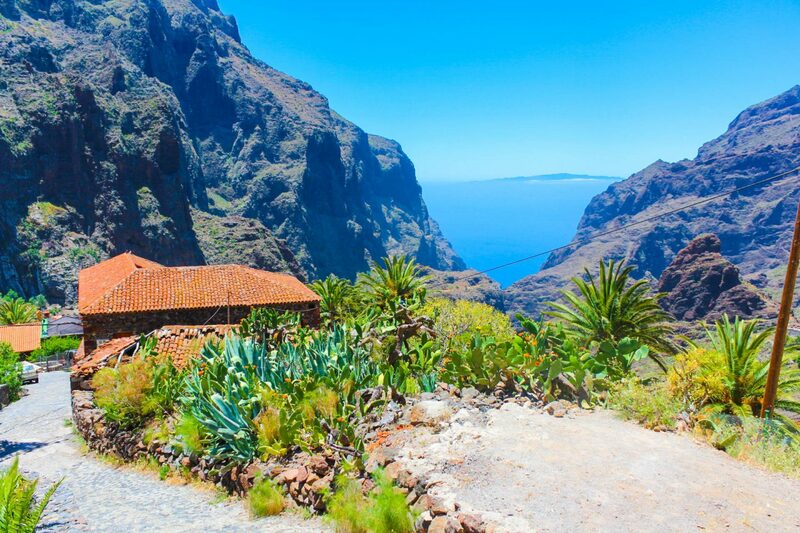 Soak up the scenery as part of a day trip to Los Gigantes town. These Cliffs of Giants are the second highest cliffs in Europe. The aborigines called them evil walls because originally they would prevent invaders from accessing Tenerife. This place is well known for its grey-black beach. Daddy loved this beach more than any other. 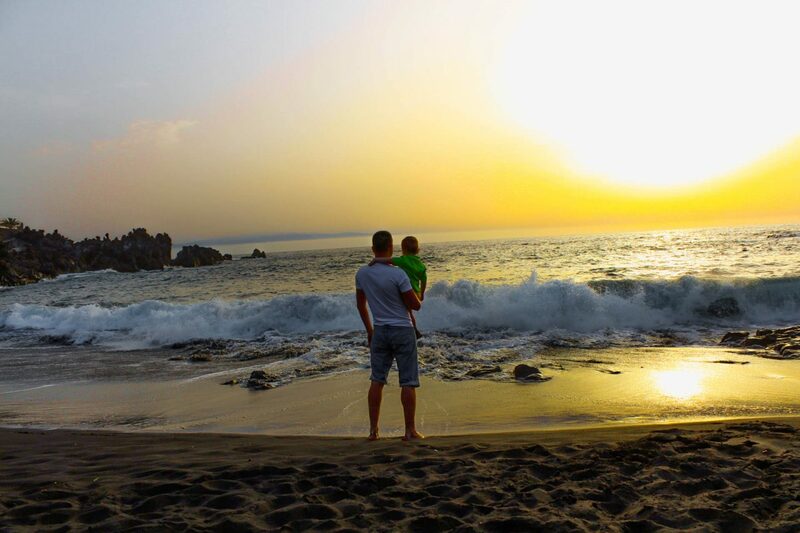 One of the natural beaches, which was made during centuries as a result of Teide lava. The beach is one of the cleanest on the island, and has been awarded the European Blue Flag for cleanliness. Everywhere it is called as a ‘lost village’ of Masca as it is nestled amidst dramatic mountain scenery. Anyway, we found it very touristy, as we even found it difficult to find a parking there. We didn’t make the trek, but if you want to do it, wake up early in the morning, to avoid the crowds. Once you are in the village of Masca for the first time, there is such a feeling like you are discovering a lost world. The views are unbelievable, the Giant Cliffs, look even prettier from the other side. 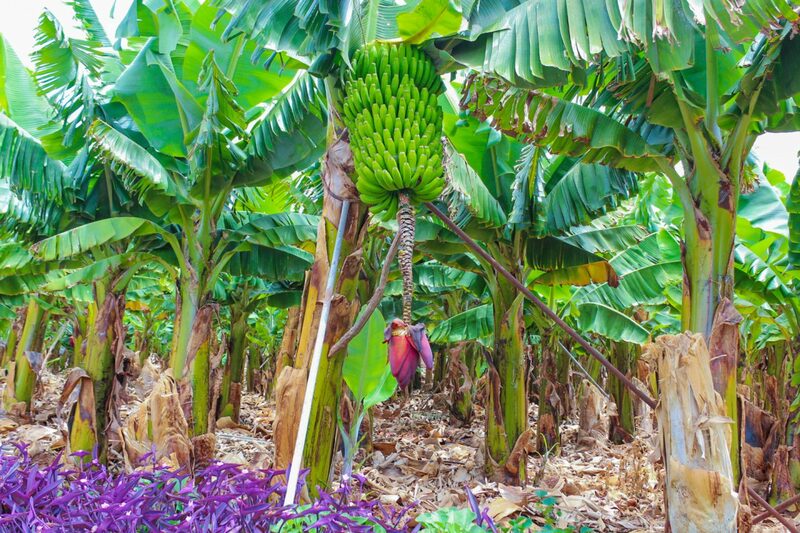 Nestled in the north of the island, the area is characterized by emerald swathes of banana plantations, laurel trees and infinite ocean. Once driving to Garachico, it opens some spectacular views over the ocean and the village. 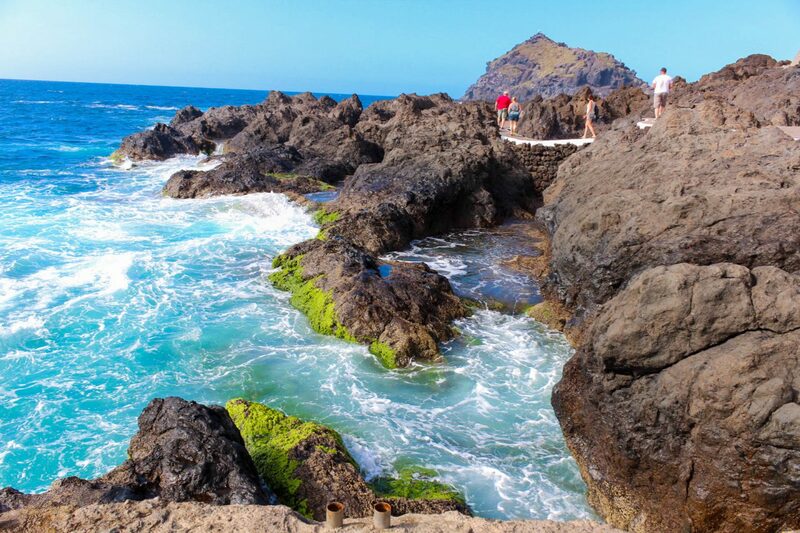 This place is a result of a volcanic eruption, that created lava rock pools, usually you will find people swimming there and enjoying their time. There are also, steps, walkways and diving points to ease you into the crystal clear waters. Entrance is free and there is lifeguard supervision. 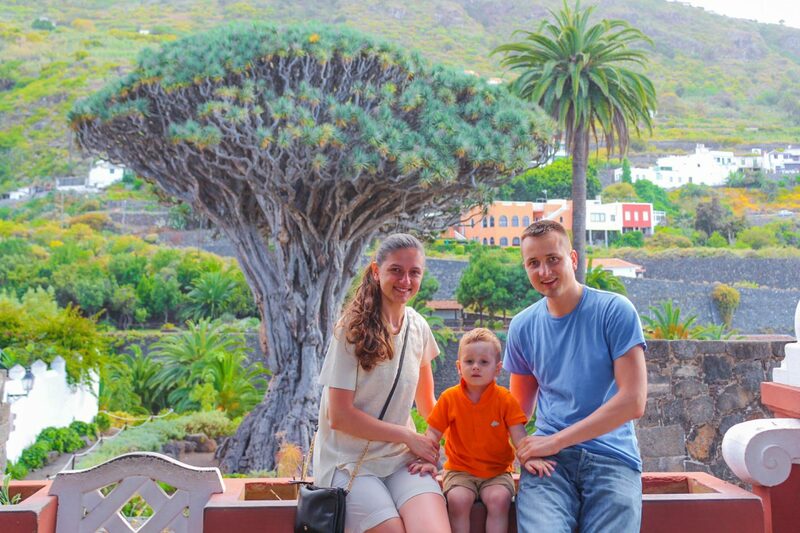 The trip is not complete if you didn’t find time to see Drago Milenario (‘Dragon Tree’), the national symbol of the island. 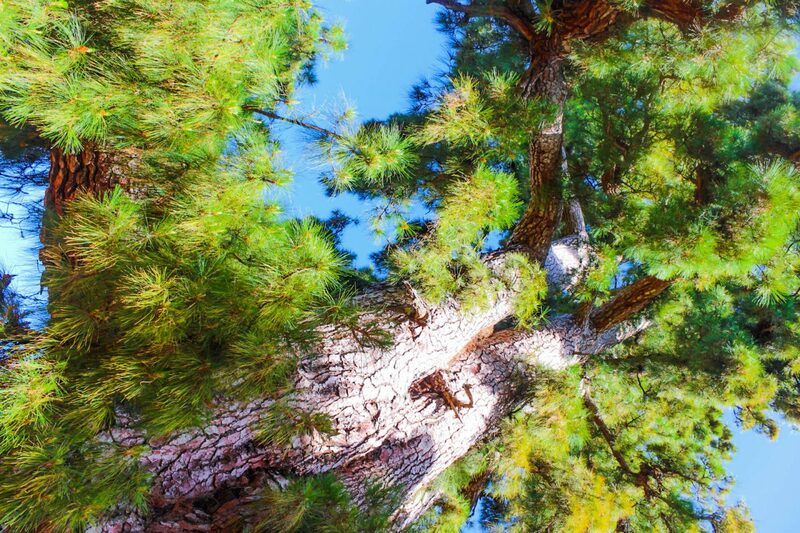 This particular tree, rumored to be 1,000 years old, is the oldest of the kind on the island. You can see it- alongside a collection of other endemic species- in the Parque del Drago Gardens (or stand in the square beside the Church of San Marco for a free vantage point). The Millennium Dragon tree can be found in Icod de los Vinos. The Millennium Drago is the multi-crowned king of Canarian flora and the best view of it is from Plaza de la Constitución. 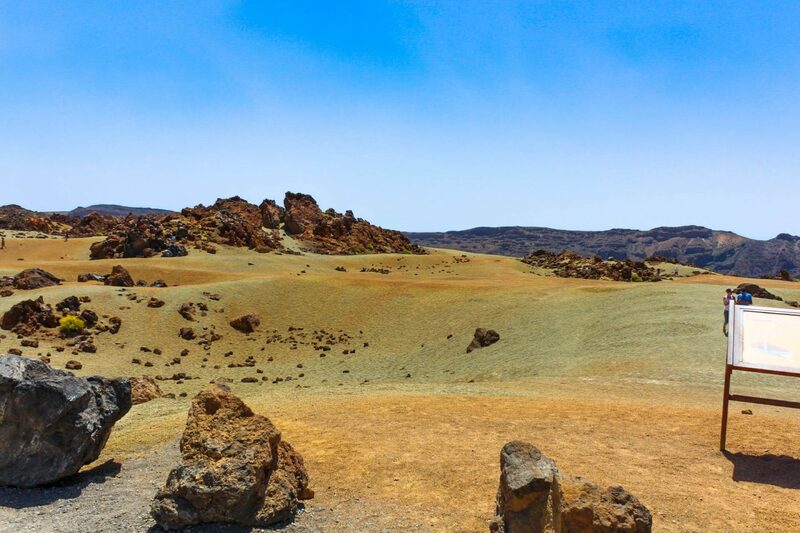 Landscape that we found here, were like in films about other planets. Here we found the rarest plant called “Tajinaste flower”, that grows up only in Tenerife, and it lasts only 30 days in the year. Honey made from this plant has medicinal properties. 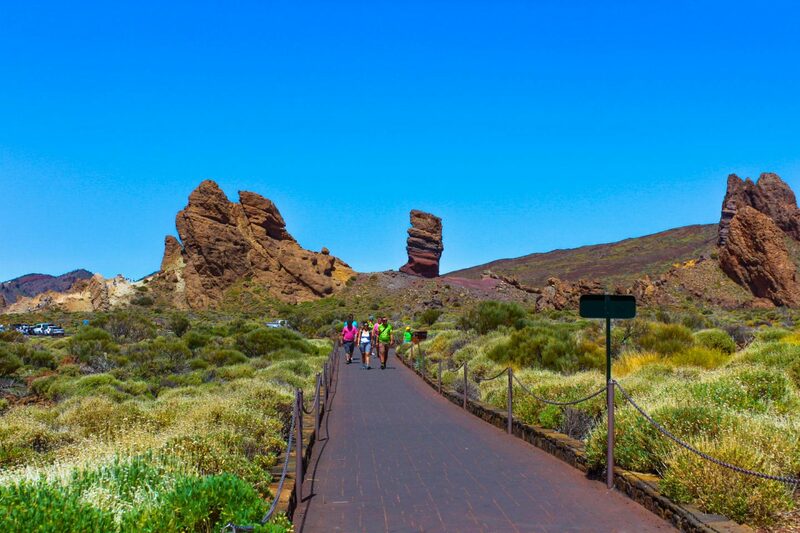 Teide National Park is a UNESCO World Heritage Site and the most visited national park in Europe. It is one of the most bio-diverse places in the world. Here you can find various activities to do, like walking tours, private jeep safaris, night-time star-gazing trips and winery tours. 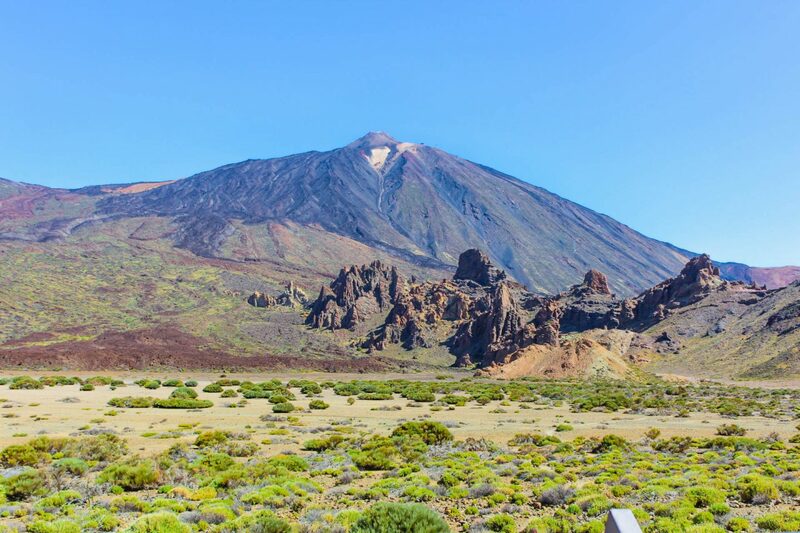 Standing at nearly 4,000 meters, Mount Teide is the highest peak in Spain, and the third highest volcano in the world. We didn´t went up high, as it was windy enough and we were not prepared for the colder temperatures. In any case, it is in our bucket list, for the second time, we will go to the island. 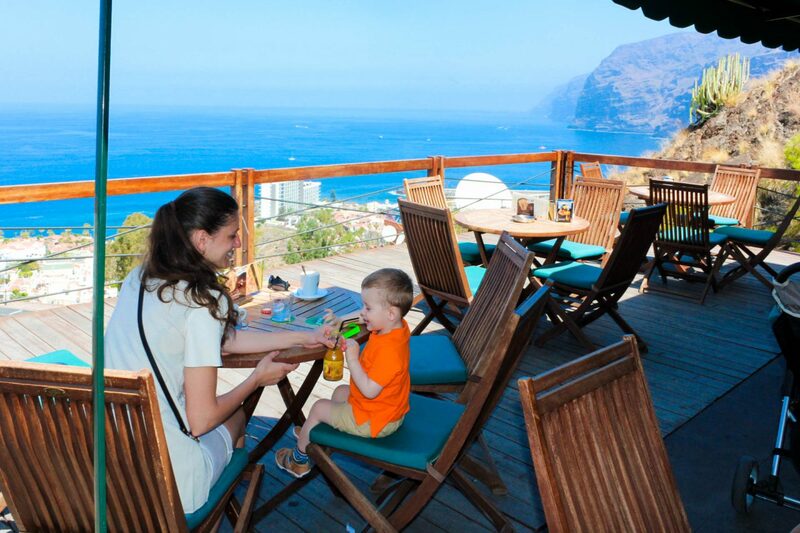 It is just a 20-minute drive from the capital, Santa Cruz de Tenerife. We went there on our last day of our trip. 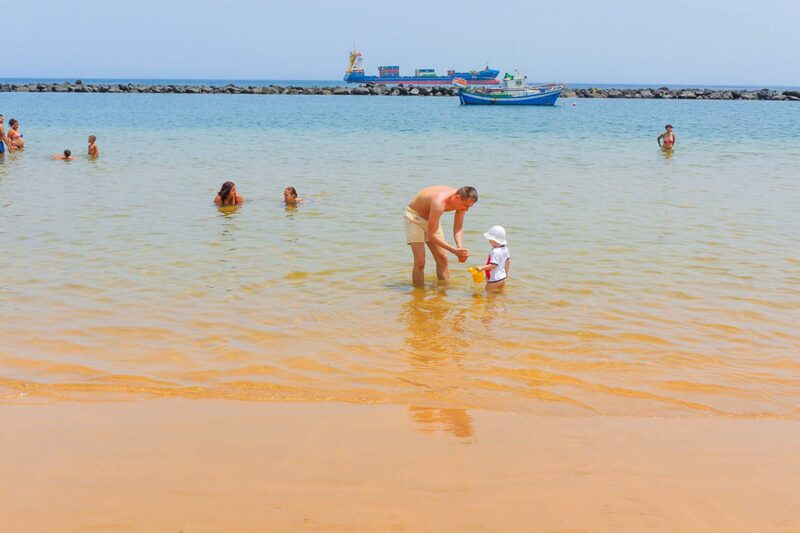 It’s one of the few beaches in Tenerife to have yellow sand. The secret of it simple, the sand is imported from the nearby Sahara. Teresitas Beach is a family-friendly spot, as it features a breakwater that protects swimmers from waves and strong currents. Previous Post 10 things to do in Fez, Morocco. I love the post please do share more like I am waiting for your next post…..